In the beginning of next week, North India might get enveloped by dust from the West, possibly affecting the region’s air quality for a few days starting October 10. The transfer of dust from the Gulf of Aden, Pakistan and the Thar Desert into India is due to a cyclonic storm currently brewing near Lakshadweep. The Indian Meteorological department (IMD) has predicted the formation of a low pressure area in the South Eastern Arabian Sea near Lakshadweep on October 5. This low pressure area will further get intensified into a depression and will bring heavy to extreme rainfall in many districts of Kerala and Tamil Nadu on October 7. The IMD issued a red alert for Idukki, Palakkad and Thrissur, districts still recovering from the worst floods in 150 years. A branch of the depression is forecasted to move further north westwards towards the coast of Oman transforming into a fierce cyclonic storm. According to the National Aeronautics and Space Administration’s (NASA) wind forecast, it is scheduled to make landfall around October 11. Even before the storm hits the land, its constituent winds will start pushing dust from the region into northern India beginning around October 9. 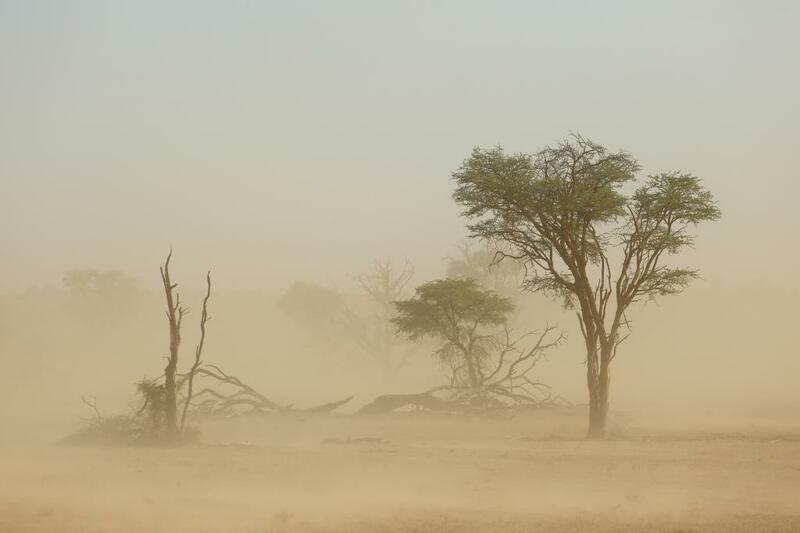 Moreover, the dust is likely to stay as the wind speeds in Delhi are predicted to dip. This will happen as the cyclonic wind system will be fed by winds from the North Indian region. These are ominous signs for the capital city which saw a public health emergency in November first week last year when the north westerly wind brought in dust along with stubble burning smoke from North-West India and Pakistan. In 2016, Delhi had seen high levels of pollution around Diwali and the worst smog in 17 years. An anti-cyclonic system which had drastically reduced wind speeds in Delhi had worsened air quality.